Every autumn, the United States is flooded with the message, “Get your flu vaccine.” Health professionals know that prevention is the best treatment. The prevention message is critical because the risk of dying from malaria in Africa is so great, 32% of the population is affected. To address this substantial malaria risk, CRS distributed 16 million bed nets treated with long-lasting insecticide in just 6 months, giving families an effective tool to fight malaria. From 2018 through 2020, CRS and partners will distribute 44 million additional bed nets. Since mosquitos spread malaria, and they are most active at night, using a bed net is one of the best prevention tools. 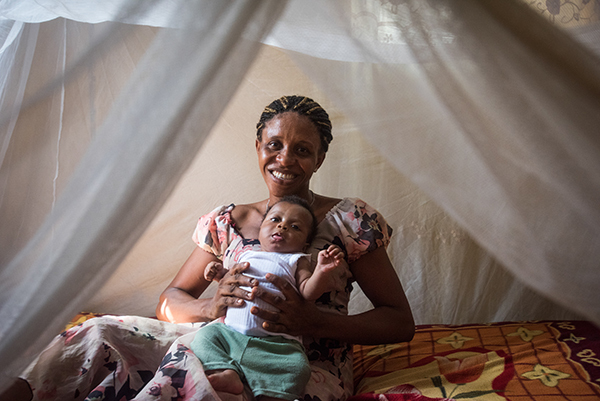 Bed nets are a simple, cost-effective solution that saves lives. “We have to fight for our health,” says Martha Oluchi, a mother in Nigeria, where it’s rare to meet a family that has not been affected by malaria. The symptoms are well-known—fever, headache, diarrhea, cough, chills. “A person can fall sick, and without treatment, it can lead to death. It's very common,” says Martha. In 2017, 70% of the deaths caused by malaria were children under 5 years old. Children who survive may have permanent disabilities caused by brain injury. That’s especially concerning for Martha. She had malaria while she was pregnant, which put her baby at high risk of injury or even death. She now has three children under 5: a 4-year-old, 2-year-old and 2-month-old, and estimates that one of her children is treated for malaria every 3 months. All of those doctor visits are a financial strain that can multiply. “Health is wealth,” says Martha. Every case of malaria can cost her up to $40 for transportation to the nearest health center for diagnostics and treatment. That doesn’t include time off work, which adds up too. “The money I spent on treating my children could be used for good food to make my children healthier,” she says. 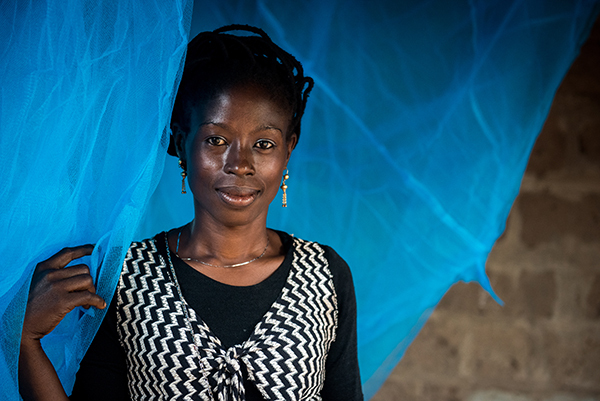 “If my kids have good health, they can go to school,” she says, but malaria can keep the children out of school for days. In Nigeria, malaria tests and treatment are free at local health centers, but patients may have to wait several hours before seeing a doctor, and shortages of medicines are common. “Our health center can run out of drugs, so most people don’t go there. They spend their money at the pharmacy,” says Henrietta Ekwusa, who received an insecticide-treated bed net from CRS. The government of Nigeria wants to eliminate malaria by the year 2020, but it will take persistence and innovation. 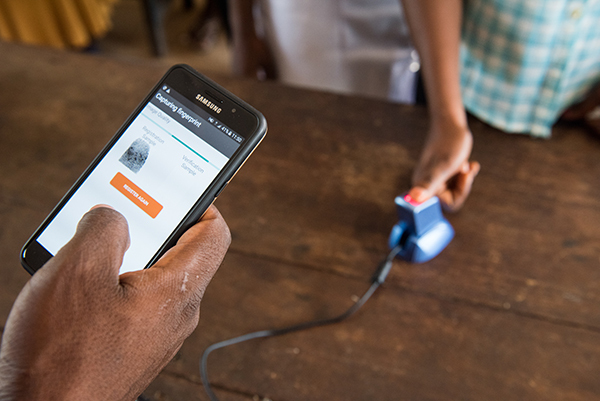 With support from The Global Fund to Fight AIDS, Tuberculosis and Malaria, CRS will help health centers in Nigeria track and report malaria cases and deaths—and contribute to a targeted response to assist the people most affected by the disease. Across West Africa, CRS is also distributing seasonal malarial chemo prevention - an antimalarial medication that is given to children between 3 months and 59 months, the age group most at risk for severe illness and death. WHO estimates that SMC can prevent 75% of malaria cases.